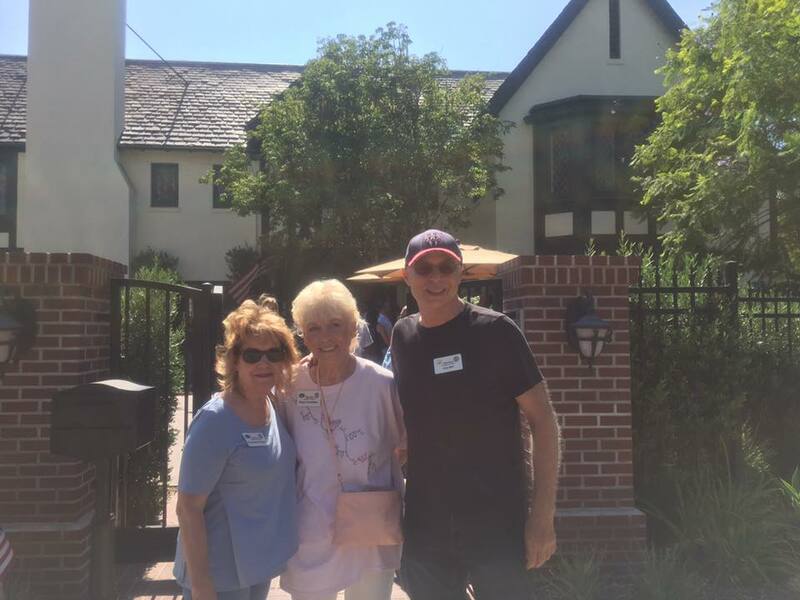 Three officers of the West Hills Neighborhood Council — President Dan Brin, Vice President Charlene Rothstein and Treasurer Bobbi Trantafello — represented the community at Mayor Eric Garcetti’s backyard barbecue on July 5. They were among a select group of officers from Neighborhood Councils across the city invited to attend the first-ever event at Getty House, the mayor’s official residence in the Windsor Square neighborhood next to Hancock Park. After a meal of hot dogs (beef, turkey and vegetarian), potato salad and salads made with lettuce grown in vertical gardens at the site, the participants heard Los Angeles First Lady Amy Elaine Lakeland describe her efforts to encourage women and girls to take leadership roles in city life. As the key cultivators of grassroots civic participation, Neighborhood Councils are playing a significant role in creating a more equitable city, she said. In his remarks, Mayor Garcetti, discussed his “Back to Basics” initiatives to raise the quality of life in Los Angeles by improving street maintenance, trash pickups, mass transit and fire and police services. He also emphasized the importance of Neighborhood Councils in solving the daunting crisis of homelessness in the city. Garcetti’s top advisor on homelessness, Alisa Orduna, concluded the program by elaborating on the city’s multifaceted homelessness strategy and the Neighborhood Councils' role in its success. 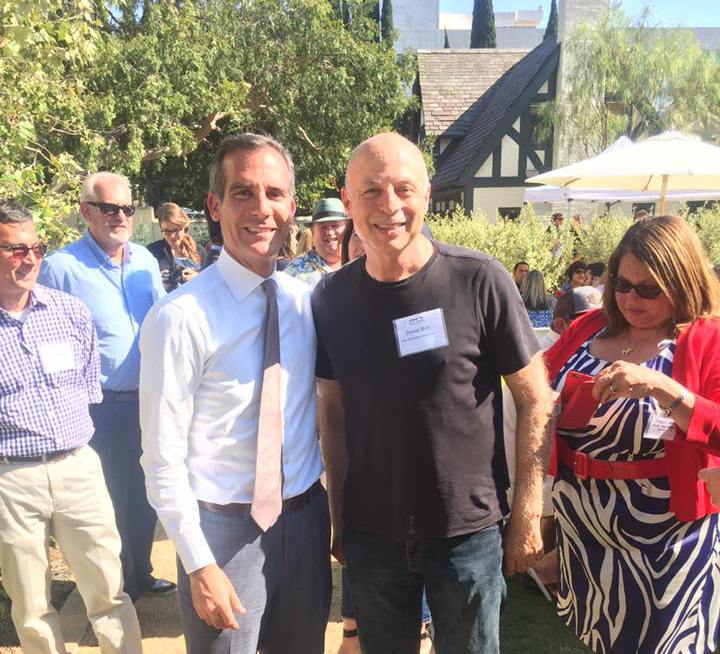 In a private conversation with Dan Brin, Mayor Garcetti said he was proud to see how well the San Fernando Valley was represented. The event concluded with the mayor and Grace Liu, general manager of the Department of Neighborhood Empowerment, posing for photographs with Neighborhood Council delegates from seven regions in the city.